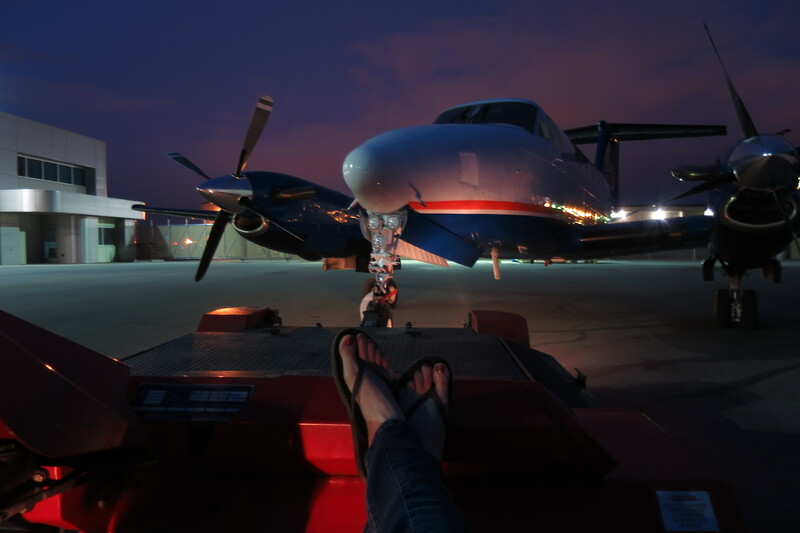 Last night I enjoyed brodies on the tarmac in the tug for the first time. Another great perk of marrying a pilot! Not to worry we burned rubber before we hooked up the plane. When Woodsen isn’t driving the tug at work this is the airplane he flies. For Woodsen, this is aviation is at its best, an on-call schedule, single pilot, a lot of independence and most importantly time for us to be together. It’s still a bit early for flip-flops but I like to ignore that. Toes warm up quickly in cars.